What are you most looking forward to about going on tour? BRADLEY: I’m most looking forward to talking about why I’m here, 20 odd years on from winning the junior worlds. 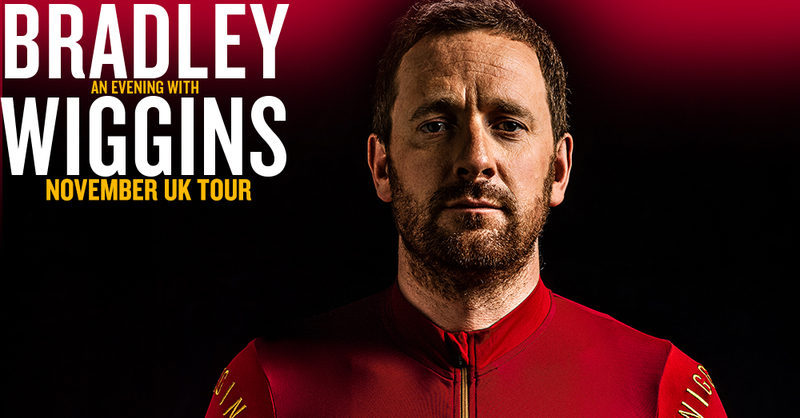 Selling out a tour and talking about cycling, it’s quite a bizarre thing for a cyclist to be doing. MATT BARBET: And it won’t just be the obvious questions. There’ll be a bit about his fashion, for example…you’re looking quite sharp today! There will be the stuff we sort of know about Brad already – the love of music, inspirations from various places, not just Eddie Merckx or Cancellara or even controversial figures like Lance, but people like Paul Smith all come into the mix. British cycling has been hugely successful these past few years – how are we looking ahead of Tokyo 2020? BRAD: “I don’t know really as I don’t have a lot to do with British cycling now. You can only go on World Championships and things. We’re halfway through that period and you’d have to think, like every other year, they’re on track for Tokyo and everything’s geared towards that. It’s a young team now but I don’t think they’ll be as successful as they were in Rio – at some point it’s going to have to drop off a little bit, but in the last four or five Olympics they’ve always done well and I think they will do well but it might not be as good as other years. It can’t just be a continual slope of winning every year. What is your favourite sporting event outside of the Tour de France? BRAD: “I like the Challenge Cup Final. I used to love FA cup final days at the old Wembley but it doesn’t seem to have the same build up and the same feel as it used to when you were a kid. It felt a much more prestigious event then. What’s next for you after the tour? BRAD: “My documentary will be coming out on Sky Arts at some point before Christmas - which is on youth culture and mods in particular so I’ve kind of explored that. We’ve worked hard on that. Obviously the book has just come out this week and there’s lots of new things happening in the New Year that I can’t speak about yet….